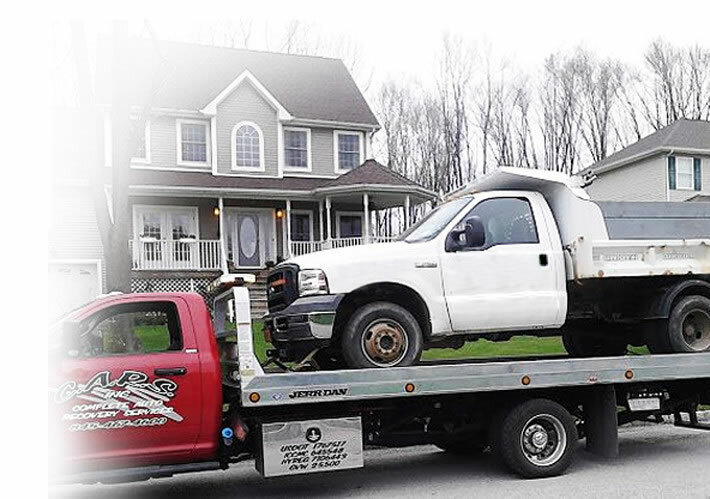 Welcome to Complete Auto Recovery Services, your one stop towing and roadside assistance provider. and outstanding customer service. We proudly serve Orange County N.Y. And beyond 24/7 from our location here in Middletown N.Y.
You may feel that a vehicle emergency in the middle of the night is an impossible issue to handle. Never fear, as we are here, you can depend on us to make a bad situation better! Service is our number one priority. At Complete Auto Recovery Services, we guarantee a fast and courteous response 24 hours a day, 7 days a week, 365 days a year. Our dispatchers, who are supported by our top of the line computer and communications equipment, will make sure an appropriate tow truck from our well­ maintained fleet will arrive where you need it, when you need it. We utilize Cell phones, Digital dispatching, and live GPS tracking of our units to ensure that our trucks get to you in the swiftest manner possible. Our dispatchers are extensively trained to provide the best customer service possible to our customers. We pride ourselves on being attentive to their needs and knowledgeable in the services we provide to the motoring public. Our operators treat every vehicle as if it were there very own. They carefully transport your vehicle no matter what its age, make, or condition to ensure that no further damage occurs during transport. With our in house training program as well as outside certifications we take the very best care of your vehicle. Vehicles are not the only types of items we transport,though, as we also transport equipment, materials, and most other things you can think of give us a call and we will give you a quote! 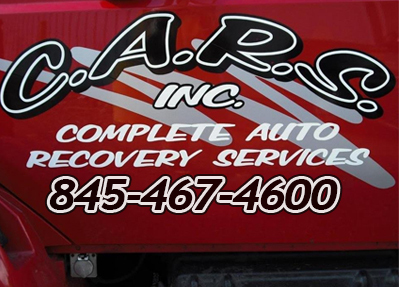 Complete Auto Recovery Services is a family owned and operated business. You become one of the family and not just a customer when you call us for assistance! As a second generation business begun in 1981 and passed on in 2008 our company gives you the benefit of all our years of experience each time we serve your needs. As we look to the future the third generation will be here to keep the traditions and attention to service alive for many more years to come! 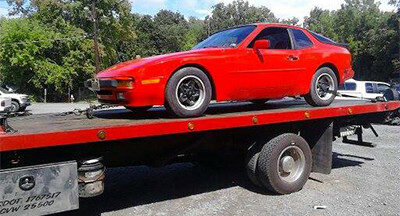 We provide both local and long distance towing. The size of the vehicles we tow in this range vary from motorcycles to delivery trucks. 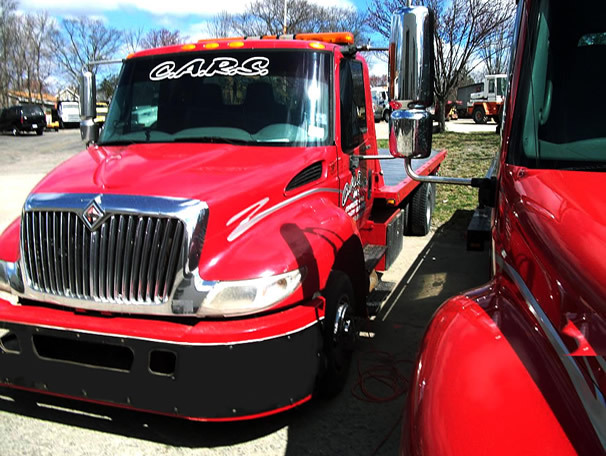 Interstate towing is provided for I-84, Future 1-86, Route 17, and I-87 for company service. We are experts at recovery even in the worst weather conditions. Our operators are trained to deal with winch­outs, rollovers and other recovery situations both on and off the road in a timely, safe and efficient manner. We are on many police towing lists and are able to deal with these stressful situations with a smile. Some of our accounts are Town of Wallkill, Town of Mount Hope, Orange County Sheriffs Office, and State Police both on and off the highways. Our operators can transport various types of vehicles, equipment , or items. Just ask us and we will let you know if we can be of service to you. You can not travel far on a flat so let us come and put your spare tire on for you. Nothing is as aggravating to a driver as a lockout situation is with his or her vehicle. Sometimes all you need is a boost to get your car going. We come out and put fuel in your vehicle to get you on your way. We will replace your battery on the spot for the times when a jump start is not sufficient. Bring us your vehicle for all of your light auto repair and maintenance needs. 10/01/2017 Had to have someone's car towed off of my private property. The people I spoke with were kind, patient and extremely helpful. The driver, Mr. Dolan, was prompt, professional and very personable. This company and this driver made an essentially unpleasant situation go smoothly and I thank them for a job well done. 09/13/2017 Jimmy provided an outstanding performance with my lowered vehicle. He was on scene within 15 minutes. It is extremely difficult to get a lowered vehicle onto a tow truck without damaging the vehicle. He went above and beyond to find some wood blocks to assist in the process. He took his time and did not need my help. I greatly appreciate the work he has done and how flawless my vehicle returned. Thank you very much Jimmy. 02/05/2017 I called roadside assistance and Jimmy from CARS showed up. He was extremely nice and made sure to handle my car as if it was his own when putting it onto the flatbed. He went above and beyond my expectations for how I thought it would have gone. Thank you to him and CARS! 02/05/2017 Couldn't be anymore happier!! My sister got a flat and needed help! I called James Dolan who works for CARS and he took very good care of her and her car.Thank you for saving the day!!! 01/25/2017 I met two different CARS workers last week when I needed my car towed twice in the same day. Both guys were wonderful and very nice. The second tow guy even called around to other competing service stations to see which one could get me in and out that day because I was from out of town and then towed me to the fastest one. Amazing! We look forward to serving you. Keep our number handy! Owned and Operated by Family Complete Auto Recovery Services is a family owned and operated business. You become one of the family and not just a customer when you call us for assistance! We have been in operation since 2008. Our company gives you the benefit of all our years of experience each time we serve your needs. We also are fully licensed according to local laws and fully insured for your protection.